"We've never experienced this kind of rain before," a weather official said. 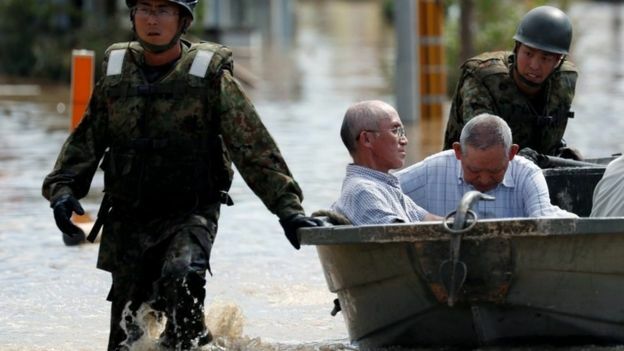 More than 60 people are dead and dozens missing after record rainfall caused rivers to burst their banks in Hiroshima and other areas. Two million people have been ordered to evacuate. 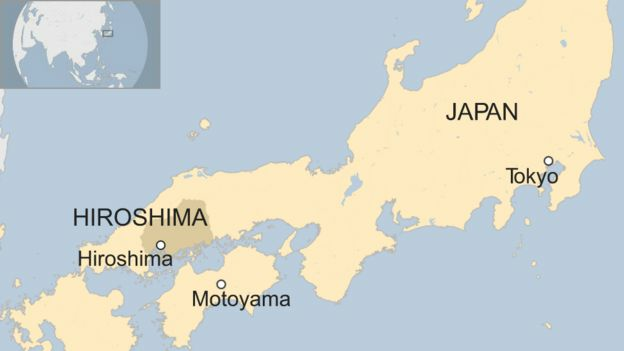 PM Shinzo Abe said rescuers were "working against time". "There are still many people missing and others in need of help," the prime minister told reporters on Sunday. Since Thursday parts of western Japan have received three times the usual rainfall for the whole of July, setting off floods and landslides. Most of the deaths have occurred in Hiroshima prefecture. In the town of Motoyama, 583mm (23in) of rain fell between Friday morning and Saturday morning. Further rain warnings are in effect, with more than 250mm (10 in) predicted to fall in some areas by Monday. An official at the Japanese Meteorological Agency told a news conference: "This is a situation of extreme danger."